I love gardening shows like Big Dreams Small Spaces and Love Your Garden. However I always seem to cringe when I hear the final budget. Only because, like most people in today’s modern world money is tight. I am a student in the middle of a career change with a house and family, so my big garden dreams are most certainly frugal. And, they are not big they’re huge! If you are a regular to my blog you’ll most likely be aware that earlier this year I began building a cottage garden on a next to nothing budget and whilst my garden is still in the making process, the foundations are now there. Don’t get me wrong though, I’m not about to bash my favourite TV programmes, I love them and they’re invaluable for tips, tricks and inspiration and always get my brain cogs spinning. I am however going to share with you some of my tips and tricks to stretch your budget further. 1. Seed – Most plants set seed (unless sterile) a lot of plants love to self seed freely and do, so be warned. Collecting the seeds from your favourite plants and sowing them is completely free and when you have borders to fill, this saves you a pretty penny or two. So grab your paper bags and a pen and get collecting. It’s always worth having seed packets in your coat pockets or bag too, you never know where you can pick up new plants, so be prepared. 2. Out of Season – In garden centres the out of season stock usually gets marked down to make way for new stock – bag up those perennials and you’ll have a wonderful display the following year, and usually better too as they will have had some time to put down some solid root growth. Last year I got an Acer palmatum for 50p, it’s looked chipper all year but it’s best is yet to come in the next few months. Just because something looks dead doesn’t necessarily mean it is, whip out your phone and google it if you are unsure – and it’s always wise to check the plants root system too. 3. Labour – It’s not rocket science, but anything you can do yourself will save you a fortune. There’s something satisfying about hard landscaping and building, but it’s also hard graft too, so only tackle if you’re fit and well. If you’re unsure how to go about something there are thousands of tutorials on YouTube, all you need to do is tell it what you want to do. 5. Reclaimed – Bootsales, Gumtree, Freecycle, Ebay, Charity Shops are your best friends – Anything you want can be found with these – Recently I saved myself £300 or more on Yorkshire stone, because I sourced the lot from Gumtree for FREE yes free, which is a massive bonus and already pre aged unlike if I’d of sourced it from a stone merchant all I had to do was collect, how awesome is that? 6. Propagation – This is key alongside collecting seeds for making lots of new FREE plants – Take hardwood cuttings, softwood cuttings, root cuttings, semi ripe cuttings whatever cuttings of all your favourite and newly found plants – This technique is also invaluable for back up plans too, if a plant reaches its end or succumbs a pest or disease attack or doesn’t survive a winter if it’s not hardy, by propagating it you have a back up and all is not completely lost. 7. Patience – Maturity of a garden does take time unfortunately. I’m not the most patient of people and today we live in an instant world where everything is available, but it’s gonna cost you! Plants want to grow, you just need to give them a little time – I added 6 new roses (ramblers, climbers, tea) to the garden in winter and they’ve not done much this year, but next year I’m expecting a better show from them, and the year after it will be no stopping them. Basically invest the time in your garden and plants and it will eventually reward you, you just have to be a little patient with it. Being frugal doesn’t mean you’re being cheap either. Would you throw your money willingly down a drain?……No? Exactly!! I do think there’s something quite romantic about all of those magic tips I’ve just shared, by using them you really know your garden. It’s more personal, it’s yours nurtured from seed, sweat and sometimes blood – you know every nook and cranny, every plant inside out and that to me makes you a better and more knowledgeable gardener. Previous Post Hitting The Wall On Allotment! Nice blog. Interesting now to see stuff in garden centres and on line made to look recycled or reclaimed and costing a fortune. If you don’t know where to look it can cost quite a bit to get the right look. Same here, to me the”small” budget on the last series way out of my meagre spending power. I buy more seed than I collect I’m afraid cetainly for vegetables. What I do find very useful is sharing the packet of seeds or swapping young plants with a friend. Tomatoes are a regular swop with me. I feel this is rather a basic frugal point though. Sorry.Do recommend colecting and sowing Mexican Fleabane seeds. So easy and the plants are usually £5 in garden centres. Good for those pollinators. 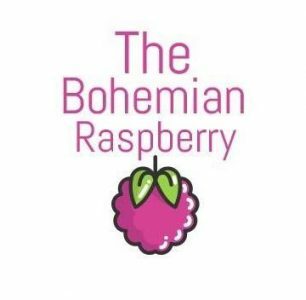 Always enjoy your blog and still find Bohemian Raspberry an inspired name! Great blog Michelle, and a great gardening philosophy, which I share. You’ve highlighted how it’s possible to create a fab garden without spending too much, by being smart, creative and patient. I’ve written a few posts myself on making things for the garden or allotment by using/recycling what’s to hand rather than spending loads of money. Hope you’ll check it out and find it as interesting as I find your blog!